Either you are creating a melody, or singing or composing a song, it is important that you try to sing until the next bar. In singing, there are bars and beats. 4 beats makes 1 bar. I am writing this music composing tip to show you the importance of enduring until 1 full bar. It is very helpful when you endure until one bar. We @Good Music Africa Inc., are raising funds, to support upcoming musicians. Please support our campaigns. 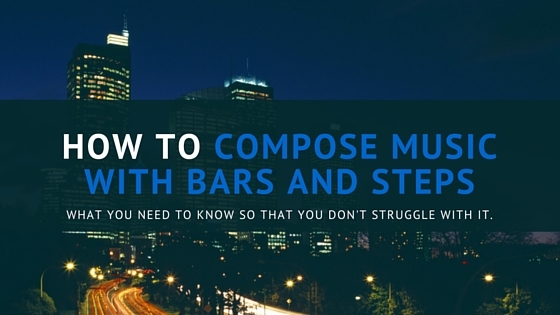 How to compose music with Bars and Steps. Music composing should be fun. stop the struggle. This is particularly useful when you are making melodies for your music. Most of the hooks in a songs extend until 1 bar. The major reason for this is because you will have more time to express the melodies inside of you. Half bar would usually not be enough to express the entire melody. If you want to get more ideas and options to test the melodies inside of you, then you should definitely try to make your notes get to the end of the bar. To have a feel about what 1 bar means. consider this song “all of me” by john legend. The first line of the song is a hook. “what will i do without your smart mouth” – this music expression makes 1 bar. Now imagine if he didn’t make it 1 bar. Then it will be “what will i do” can you imagine what the song would sound like. That is what you miss every time you do not take advantage of singing up to a full bar. The next time you want to compose your song, i recommend that you deliberately sing to make a full 1 bar. 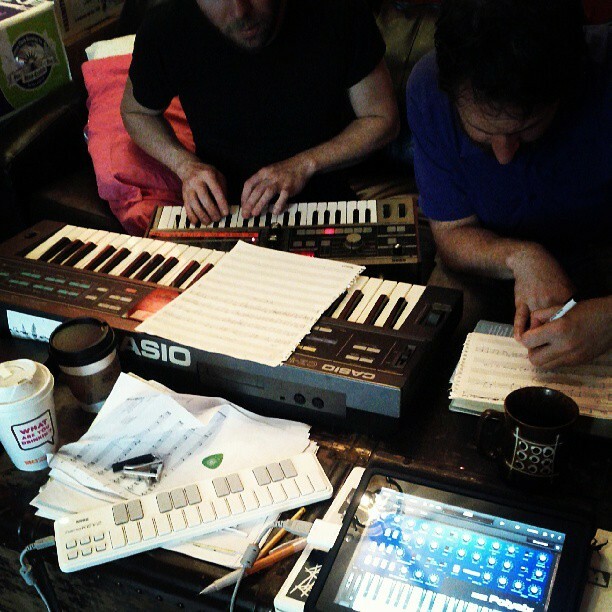 Image credit: “Coffee and synths. KayoDot album “Hubardo” recording, 2013-06-13″ by Daniel Means – Flickr: Coffee and synths. Use full bar to make melodies. Use the flexibility of 1 bar to make your self comfortable with composing your songs. Be in control of your music, decide at instance of the song you would like to use 1 bar or half bar. This changes the entire music composing, from a rigid job to a flexible and enjoyable work. Would you share this article on how use full bars and half bars to compose music ? yes share. Use the contact form for help especially about your music composing and song writing project. Note lekan is a Christian and he recommends Jesus Christ to his audience. We are raising funds to support upcoming musicians. Please support our campaigns. © Good Music Africa Inc. Abuja, Nigeria.